On December 10, 2018, the Decreto-Lei nº 110/2018 was published in the Portuguese Diário da República, introducing the new Industrial Property Code (Código da Propriedade Industrial-CPI). The EU Directive 2015/2436 and the EU Directive 2016/943 are incorporated into national law. While the first Directive focusses on the harmonization between member states, the other Directive concerns the “know-how” and trade secrets protection. - An administrative procedure has been introduced: The Portuguese Institute of Industrial Property (INPI) can declare registered trademarks and designs invalid in the first instance. - In cases of trademark disputes elicited after publication of the trademark application by an opposition filed by a third party on the grounds of a previous registered trademark, the applicant can request the plaintiff to provide evidence of serious use of the trademark on which the opposition is based. The new Industrial Property Code will come into force on the July 1, 2019. The rules regarding the protection of trade secrets protection came already into effect on January 1, 2019. The Portuguese Government has submitted a proposal for a new Industrial Property Code to the Parliament for approval which will repeal and substitute the most important IP law in force. d) “Adopting mechanisms to strengthen the rights protection system and to give effectiveness to remedies against infringements”. - The rule that the trademark duration shall be counted from the date of filing instead of the granting date. Further, it has been proposed to maintain the principle of ex-officio examination of relative grounds of refusal according to which the National IP Office has the power to refuse applications on the basis of its own ex-officio examination on grounds of identity or confusingly similarity with prior trademarks. Additional to that the Government has opted to implement the Directive to its full extent, including article 45 of the Directive (procedure for revocation or declaration of invalidity) the implementation of which was only mandatory by January 14, 2023. New official fees are applicable in the Industrial Property Office as from September 1, 2017, according to the Decision No. 780/2017 of the Management Board of the IP Office and the Government Regulation No. 1098/2008. All official fees have been adjusted in accordance with the inflation rate of the preceding year. There are no other changes either in the structure or level of the official fees. The new official fee for filing a trademark application is now EUR 124.45 and EUR 31.55 for each additional class. Registration and publication fees are included in the application. In general, the costs for industrial desings, models and patents have also increased. The Intellectual Property Office of Portugal has announced new official fees which are effective from July 1, 2016. The official fee for filing a trademark application is now EUR 123.76 and EUR 31,37 for each additional class. The Portuguese Institute of Intellectual Property (INPIPT) has implemented the service for e-filing for trade marks. The system allows INPIPT's users to file their trade mark applications electronically. The Intellectual Property Office of Portugal has announced new official fees which are effective from 1 July 2014. The fee for filing a trademark is now EUR 123.67 online and EUR 247.34 in paper for each class. Each additional class is EUR 31.35 online and EUR 62.70 in paper. The Intellectual Property Office of Portugal has increased its official fees under Administrative Order No 1376-A/2013. The fee for filing a trademark is now EUR 123.36 online and EUR 246.72 in paper for one class. Each additional class is EUR 31.27 online and EUR 62.54 in paper. On 27 May 2013, INPI published new guidelines on the application of the Portuguese Industrial Property Code. This document was on a public consultation phase until 27 June 2013 and can be found here (Portuguese version only). These guidelines do not constitute a law and their purpose is to work as an orientation guide for INPI's examiners, contributing to the standardization of criteria and procedures followed in assessing the actions relating to industrial property rights, with gains to predictability, consistency and coherence of the decisions that are made on a daily basis by the Office. The new guidelines aim also to be an useful tool to the outside, assisting applicants, holders and other interested parties in their interaction with INPI. The Intellectual Property Office of Portugal has increased its official fees under Administrative Order No 176/2012 of May 31, 2012. The new fees for applications for the registration of trademarks came into force on June 10, 2012. The new trademark application fee has changed from EUR 101.40 to EUR 120.00 in one class. The fees for additional classes remain the same with EUR 30.42. The Ordinance no. 84/2012, of March 29, 2012, has installed the First Chamber of the Intellectual Property Court, constituted by one judge. This Court has initiated its functions on March 30, 2012. However, legal proceedings that have been initiated prior to the court installation will kept being judged by the courts in which they are currently pending. The Law that created this Court predicts that a Second Chamber will be created once the workflow justifies it. A new regulation of .pt domain registration came into force on March 1, 2012. The liberalization of these rules will make the registration system of .pt domains simpler for users. The requirement to be based on a trademark registration will be removed. The new rules come fully into force on May 1, 2012. It is provided a grace period of 60 days, starting on March 1, 2012 until May 1, 2012 during which the owner of IP rights in Portugal can proceed with the registration of the .pt domains based on those rights. As a result of this liberalization priority IP rights in Portugal can easily registered as .pt domains by any entity. The Portuguese Institute of the Industrial Property (INPI) has implemented the Project Seniority. This project aims to harmonize the seniority data between OHIM and National Offices and improve the data accuracy and customer satisfaction. The Portuguese Patent and Trademark Office announced an increase of the official fees effective from July 1st, 2011. The increase corresponds to 1.4% on all official fees for all services. The FCCN (the Portuguese domain name system managing body) announced a new set of rules regarding the registration of domain names under the ccTLD (country code top-level domain) .pt, which came into force on July 1, 2010. Ministerial Order No. 1254/2009 was published on 14th October 2009. It introduces some changes in the Portuguese Patent and Trademark Office (PTO) official fees. These changes have taken effect on 23 October, 2009. Registration fees concerning trademarks, logos, awards, designations of origin and geographical indications, as well as associated fees (surcharge and revalidation) are no longer due. Formerly, the final registration of these rights depended on the payment of a registration fee within six months after the PTO's decision of grant. As of October 23, 2009, the registration fee is no longer due. This Ministerial Order is applicable not only to applications submitted after October 23, 2009 but also to applications for which, at that date, the deadline for payment of the registration fee or its surcharge is still ongoing. Legal basis is the “Industrial Property Law” and the “Decree Law 143/2008” of July 25th, 2008, in force since October 1st, 2008. Portuguese trademarks are also protected on the Azores and Madeira. Portugal is a member of the Madrid Agreement, the Madrid Protocol and the European Union. Registrable as a trademark are all distinctive and graphically representable signs, such as words, names, letters, numbers, devices, combinations of colours, the form of a good or its packaging, sound marks and any combination of the mentioned signs as well as three-dimensional marks. Advertising slogans are also registrable provided that they are distinctive. The following marks are registrable: trade marks, service marks, collective marks, certification marks. The application is filed at the Patent and Trade Mark Office (INPI). Local agent is recommended. Foreign applicants who indicate an address in Portugal, a fax number or an email address do not need a local agent. A power of attorney is necessary for applicants represented by a third person who is not a Portuguese official agent. The processing time from first filing to registration is approx. 4 to 6 months. 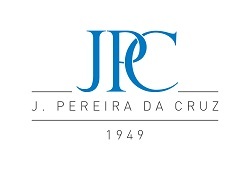 After formal examination, the trademark application is published in the Portuguese Industrial Property Gazette for opposition purposes. This official gazette is published online on a daily basis. When the opposition phase comes to an end (or an opposition is filed) the application is submitted to an examination. Afterwards, the final notification is issued. The registration of the trademark is published as well. The opposition period is 2 months from publication of the application, extendable for an additional month. After the end of said term, late oppositions will not be accepted. A trademark registration is valid for 10 years from the date of registration, not the application date. It is renewable for periods of 10 years. A trademark must be used within 5 years from the registration date or the registration will become vulnerable to cancellation for non-use (unless there is a justified reason). Subsequent use of the trademark can restore protection provided that no cancellation of the registration has yet been declared by the Portuguese Industrial Property Office. The official fee for filing a trademark application is EUR 126.17 for the first class and EUR 31.99 for each additional class when filing online and EUR 252.33 for the first class and EUR 63.96 for each additional class when filing by paper. After more than half a century of activity, our objectives are still the same: to remain at the forefront in defending the interests of our clients in the field of intellectual property. It is with this spirit that we are entering into a new phase, always keeping up with the new communication technologies. Using these tools, our aim is to provide the national and international community with the means to share information and remain up-to-date with developments in the world of intellectual property. At the same time, we want to provide our clients with new functionalities, allowing them to access information concerning their rights. This version of our website is simply the initial phase of an instrument which will soon offer new functions and thereby make it possible to further strengthen our relationship with all those who choose us as their Patent and Trademark Attorneys. These are the demands of business today and the goals that we have set ourselves.